Welding is one of the most rewarding careers in the United States of America. Considering some specifics of this job, it may interest numerous people all over the country. Those people who live in Ohio have a whole bunch of options to start their training. 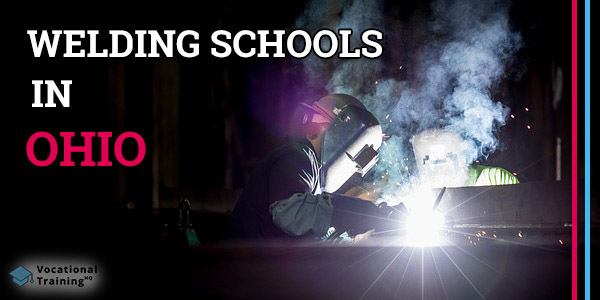 There are more than 70 welding schools in the state. If you’ve decided to become a welder in Ohio, you should learn some important points to start your career. There is plenty of options for those look for welding training programs in Ohio. You have an opportunity to choose from classes at high schools, community colleges, and career centers. Keep in mind, that each school from the list below are approved by the American Welding Association. There are three excellent welding schools in Cincinnati. They are the Cincinnati Job Corp Center, Diamond Oaks CDC, and Scarlet Oaks Career Development Campus. Those three will be an excellent choice for Cincinnati residents who want to become welders. The Cincinnati Job Corps Center is among the best educational facilities which and a part of the national Job Corps. It provides tuition-free education and vocational training for those who want to start their career. Normally, after completing your training at the Center, you’ll be offered to enroll in work-based learning (WBL) and green jobs training. In other words, you’ll get plenty of hands-on experience. Finance & Business (Office Administration). You can get more info on available programs visiting the official website. Diamond Oaks CDC is among the best welding schools in Cincinnati. The Scarlet Oaks Career Development Campus gives an opportunity to get your certification only in 45 weeks. Moreover, the students can get some Financial Aid if they need. During your training, you’ll be able to get such skills as blueprint reading, visual inspection, brazing, and mechanical drawing. In Cleveland, there are two schools that provide welding training courses. They are the Lincoln Electric Welding School and Mas S. Hayes Vocational High School. There is a whole bunch of various programs provided by the Lincoln Technical Institute. Welding is among the available options that are provided within the Skilled Trades Programs. You can get more info about the available programs on the official website. One another option, available in Cleveland is the Mas S. Hayes Vocational High School. This school is es especially unique as it offers such programs as welding, construction, diesel mechanics and others. Also, it is ready to accept high-school juniors and offers them internships, “shadowing” experiences, and hands-on learning. Welding program in the Mas S. Hayes Vocational High School contains such classes as Gas Metal Arc Welding, Shielded Metal Arc Welding, Gas Tungsten Arc Welding, and Flux Cored Arc Welding. Columbus State Community College is among the best welding schools in Ohio. It has a wide range of educational programs and an Associate Degree in Welding is one of the available options. There is a whole bunch of welding schools in Ohio. Above, we’ve listed some of the most famous of them but still, there is a bunch of other options. You can use the table below to get info about other welding certification schools in Ohio. Working as a welder in Ohio, you’ll be able to gain a good salary. A median salary of a welder in the state is about $39,260 which is $18.88 per hour. At the same time, a median salary throughout the country is about $39,390 annually or $18.94 per hour. The top 10% of welders throughout the country earn $62 100 annually while the top 10% of welders in Ohio earn $53 810 per year. You have plenty of options to choose from if you are looking for welding training programs in Ohio. Just read carefully about each school and start your way to a successful career.